Special technocid dormant insecticide has a new encapsulation technology assets to a more effective against mites, bed bugs and other insects. Its action is more sustainable and healthy for humans and the environment. 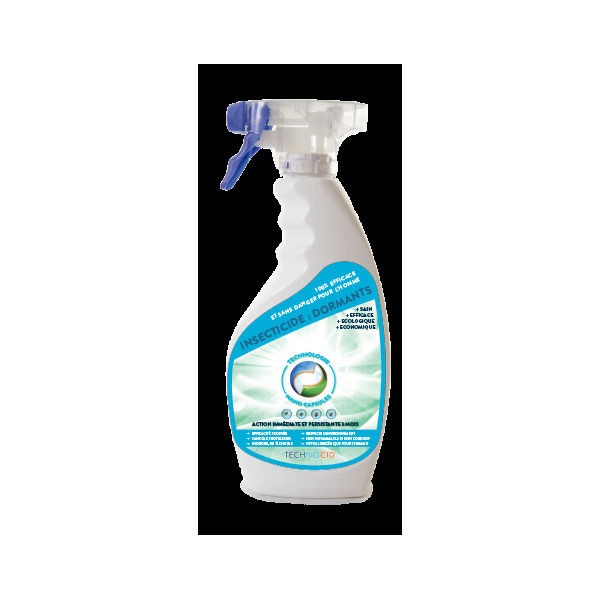 Special Technocid is dormant insecticide against insects dormant (bed bugs). Such as dust mites, bedbugs, mites, termites and other insects of the same family. TECHNOCID be used indoors in living rooms. Also applies to bedding to fight effectively against dust mites and bed bugs (bed bugs). 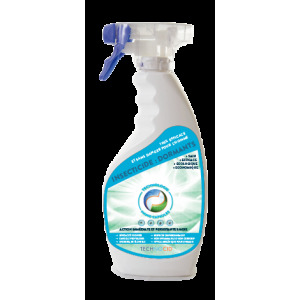 Destroys dust mites and bed bugs in less than 30 minutes. Effect: immediate and persisting up to 3 months. Nano active capsules contained in this aqueous solution can distribute active substances with more Efficiency while dramatically reducing harmful to humans.